Dr. Mark Melnik specializes in demographic, socio-economic, and labor market issues and leads a 15-person team working on variety of economic and public policy research projects informing clients in government, private industry, and the non-profit sectors. In his time at the Institute, Dr. Melnik has served as the principle-in-charge on projects with such clients as the Secretary of the Commonwealth, the Massachusetts Gaming Commission, the Boston Foundation, the City of Boston, the City of Cambridge, MassDOT, the New England Foundation for the Arts, MassEcon, MassDevelopment, the Boston Private Industry Council, the Massachusetts Department of Housing and Community Development, the Massachusetts Housing Partnership, and the MetroSouth Chamber of Commerce. In addition, Dr. Melnik serves as the Senior Managing Editor of MassBenchmarks, the journal of the Massachusetts economy published by the Institute in cooperation with the Federal Reserve Bank of Boston. 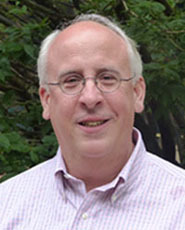 Before joining the Institute, Dr. Melnik worked as Deputy Director for Research at the Boston Redevelopment Authority (BRA) where he led research teams on demographic and economic research studies as well as analyses used for public policy advisement and decision making with the BRA and the City of Boston. Before joining the BRA, Dr. Melnik worked as a research associate at the Dukakis Center for Urban and Regional Policy at Northeastern University. As a leading expert in demographic and socioeconomic issues in the Commonwealth, Dr. Melnik is quoted extensively in the media and was appointed to Governor Charlie Baker’s Future of Transportation Commission and the Massachusetts Economic Development Council Board of Directors. He holds a doctorate in sociology from Northeastern University. His dissertation explored skill and credential mismatches in the greater Boston labor market. He received his master of arts from Northeastern University and his bachelor of arts from Youngstown State University, both in sociology. Shannon Bernacchia has worked at multiple higher education institutions over the past six years. Her past work experience includes maintaining departmental budgets, creating and processing contracts, and she has strong knowledge of federal and state regulations gained from working within the office of financial aid. Ms. Bernacchia received her bachelor’s degree in business administration from Bay Path University. Carrie Bernstein, M.P.P.A. is an analyst whose work encompasses both quantitative analysis and qualitative research methodologies. She specializes in writing, gathering data, and synthesis of complex information. She has over a decade of experience in nonprofit and government sectors, including work in policy research, data management, and research design. She has studied federal grants, economic inequality, housing affordability, labor markets, and educational attainment. Ms. Bernstein received her master’s of public policy and administration from the University of Massachusetts Amherst and her bachelor’s degree from Hampshire College. 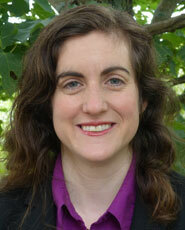 Meghan Flanagan’s work focuses on geographic and population data analysis. Ms. Flanagan was an environmental engineer supporting municipal and university infrastructure planning efforts and conducted spatial studies on watershed issues. Previously, she was an engineering student in Tufts University’s interdisciplinary Water Diplomacy IGERT Program where she studied water scarcity and allocation and environmental policy. 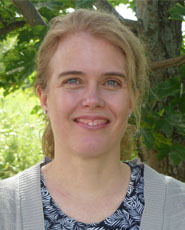 Meghan received her masters of science in civil and environmental engineering from the University of Minnesota and her bachelor's of science in engineering science from the Picker Engineering Program at Smith College. Andrew Hall, M.P.A., M.A. 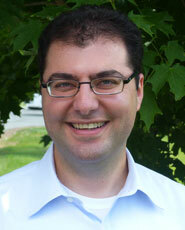 focuses his work on a combination of social science research methods and public policy analysis. Mr. Hall has a background in synthesizing data from a variety of sources and methodological approaches as well as practical experience working with non-profit organizations on housing and poverty issues. While his primary research interest is in urban economic development, he has considerable research experience in public health, energy and foreign affairs. Mr. Hall received his master's of public affairs and master of arts degrees from Indiana University in Bloomington, where he focused on economic development and policy analysis. He also holds a bachelor's of arts degree in history from Drew University. 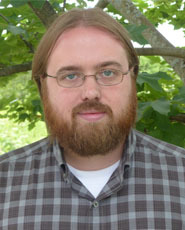 Ken Lefebvre specializes in geospatial systems development and public policy analysis. 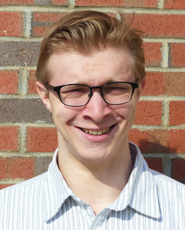 Mr. Lefebvre has previously served as an innovation fellow in the Massachusetts Comptroller’s office, a geospatial systems intern with the U.S. Fish & Wildlife Service and has worked with quantitative researchers in state and federal agencies as well as the private sector as a technical engineer for the OriginLab Corporation. Ken received his master’s of public policy and administration as well as a bachelor’s in environmental science from the University of Massachusetts Amherst. Rebecca Loveland leads industry, economic development and workforce studies, utilizing a variety of qualitative and quantitative research methods. Her expertise includes analysis of industries and industry clusters; economic development policy research including work force analysis and the study of economic disparities across regions; industrial redevelopment and inner city economic development; and business survey research and design. She collaborates with other staff on economic impact studies. While in graduate school she was employed by and managed projects for the Center for Economic Development (CED) at University of Massachusetts Amherst. She received a master's degree in regional planning from the University of Massachusetts Amherst with a concentration in economic and community development planning and a bachelor's of arts from Smith College. Michael McNally focuses on qualitative economic research with strong quantitative underpinnings. 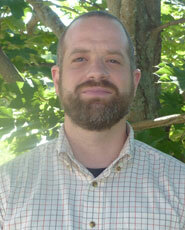 Mr. McNally has extensive experience gathering panel data from different public and private data sources. He has also gathered data first-hand through survey administration and worked directly with employers and community leaders as part of public policy research. His main research interest is in economic inequality and he has approached this subject through the study of topic areas ranging from education, immigration, and pay equity. 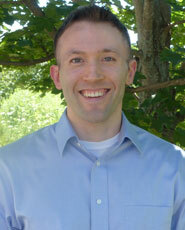 Michael McNally received his bachelor’s degree in economics from Saint Michael’s College in Colchester, Vermont. There he also studied computer science and has used that knowledge to support his economic and social science research. Rod Motamedi primarily focuses on economic and policy impact analysis, economic development and regional competitiveness, and industry footprint studies. Prior to joining the Donahue Institute, Mr. Motamedi was a senior economic associate at Regional Economic Models, Inc. where, for over seven years, he led client training and support, business development, and consulting efforts. Examples of his previous work include the economic impact of casinos, immigration, energy and environmental policy, and fiscal policy. Mr. Motamedi received a master’s of business administration from the University of Massachusetts Amherst with a focus in business analytics and a bachelor's of arts in economics also from the University of Massachusetts Amherst. Thomas Peake specializes in economic impact modeling and data analysis. Prior to joining EPPR, Mr. Peake’s professional experience included working as an assistant economist for an economic modeling firm, as well as providing advisory services to the federal government for a large consulting company. Some of Mr. Peake’s interests include housing and labor markets, regional development, and industrial organization and concentration. Mr. Peake received his bachelor's of arts in economics with a minor in mathematics and statistics from the University of Massachusetts Amherst. 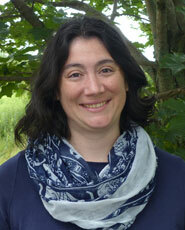 Abby Raisz specializes in geospatial analysis and qualitative research. Previously, she was a qualitative researcher for UMass Boston, where she analyzed teachers’ assessment practices in Boston Public Schools. She also worked for the Metropolitan Council of the Twin Cities, where she created outreach materials and helped award grants for transit oriented development, place-making and affordable housing projects. Her research interests include housing segregation and urban inequality, with an emphasis on GIS as a tool to analyze these phenomena. Ms. Raisz received her bachelor’s degree in geography and urban studies from Macalester College. She is also fluent in Spanish. 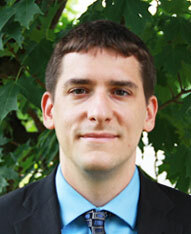 Matthew Schlaikjer specializes in data analysis and regional planning. His background includes data management and GIS analysis for the federal government and environmental consulting firms. He was also a geographic specialist for the 2010 decennial census and assisted in the Natural Resource Damage Assessment of the Deepwater Horizon Oil Spill. 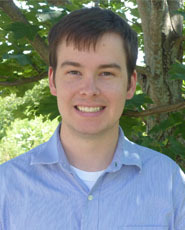 Mr. Schlaikjer received his bachelor’s of science in geography with a concentration in regional development and planning from Salem State University. Branner Stewart, AICP specializes in regional economic analysis, transportation planning, economic impact analysis, and strategic planning for economic development. Before joining the Institute, Mr. Stewart was employed by Cambridge Systematics, Inc, where he led economic and demographic work on state and regional projects, including assignments in California, New York, Texas, Florida, Georgia, North Carolina, Colorado, and New England. Prior to this, Mr. Stewart served as the economic research manager for the Texas Department of Economic Development where his work focused on strengthening the state’s international linkages and improving its manufacturing capacity. Mr. Stewart received his masters of science in community and regional planning from the University of Texas at Austin and his bachelor's of arts in spanish from Colby College. He also has a professional certification, AICP, from the American Institute of Certified Planners. Susan Strate specializes in demographic analysis and population estimates and projections modeling. 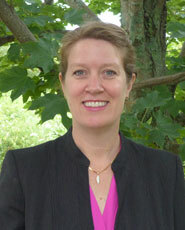 She has served as the Massachusetts liaison to the U.S. Census Bureau’s Federal-State Cooperative for Population Estimates since 2008, and has worked on a number of Census preparation and review activities, including the development and practice of geospatial and statistical analysis methods. Prior to joining the Institute, Ms. Strate worked for 11 years in program development, contract management, and developing systems for data collection and reporting in anti-poverty agencies in western Massachusetts, including health care and housing programs. 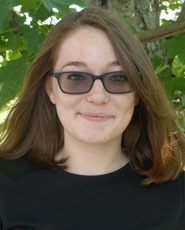 Ms. Strate received her bachelor's of arts in comparative literature from the University of Massachusetts Amherst. Gail Waterhouse, M.A., focuses on both qualitative and quantitative research. Many of her past projects in both the public and private sectors have employed a mixed-methods approach. Previously, she worked as a journalist, and has written on business, social policy, and economic development issues throughout Massachusetts for The Boston Globe and other news outlets. She specializes in qualitative and qualitative data collection and analysis, as well as translating complex information in to as accessible form for a wide variety of audiences. Her past research experience has been in equity-minded economic and community development, and housing. Ms. Waterhouse received her master’s degree in urban sociology and her bachelor’s degree in journalism, both from Northeastern University.